Click below on any of our listed services to see availability, pricing, and more information. Call us at 609-741-8825 or email us at info@sjsup.com with any questions or concerns. Our hour long Beginner lessons teach you the fundamentals of Stand Up Paddleboarding. We will start on land for an introduction to the sport and then get on the water to learn the basics of paddling, balancing, and water safety on a Stand Up Paddleboard. 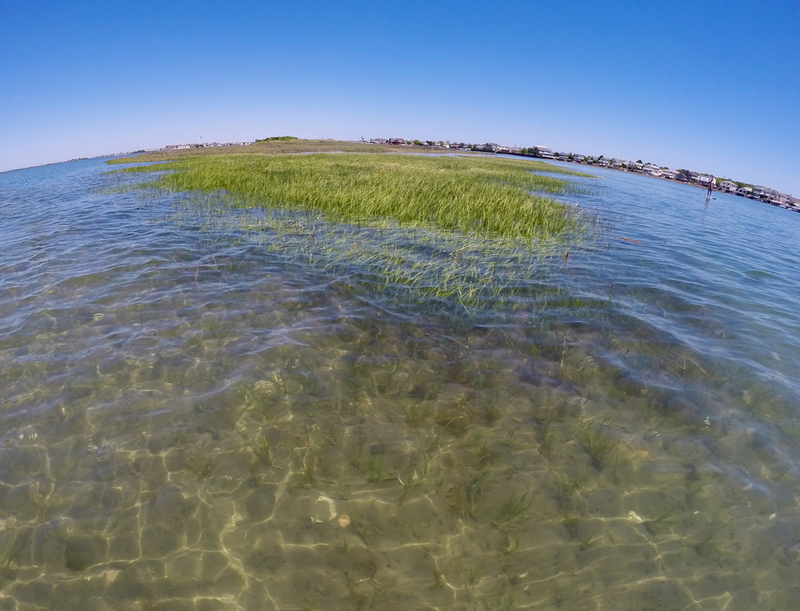 Tour the back bays of Stone Harbor during the day on our Back Bay SUP Tour, or later during our Sunset SUP Tour. During the hour long tour, expect to see a myriad of aquatic and airborne wildlife, as SUPing offers a great vantage point to see into the water and over the marshes. Want to have a birthday party or just a group paddle on the water? We will bring six paddle boards, paddles, life jackets and an hour of instruction, making for a great day on the water. We can bring everything to you, or we can launch from 114th street into the back bays of Stone Harbor. 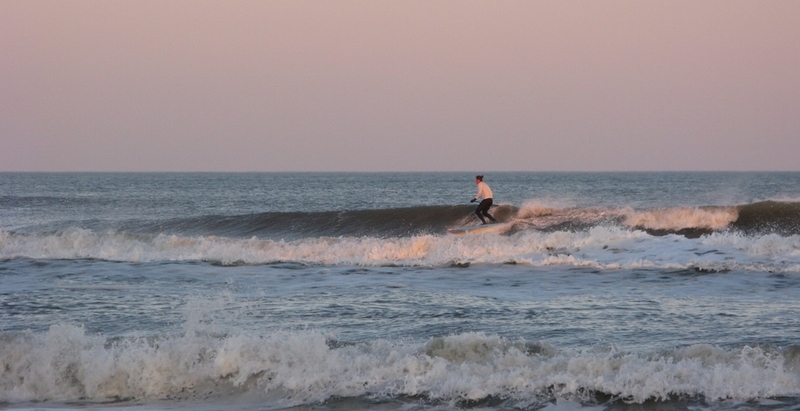 SUP surfing is a great way to get the most out of New Jersey's summer surf. Take a lesson with us and we will teach you the fundamentals of paddle surfing. To make the most out of our hour of paddle surf instruction, prior paddle boarding experience is required. Please sign up for a beginner lesson before taking a paddle surfing lesson with us if you are new to stand up paddle boarding. We do daily, 3 day, and weekly rentals with all equipment included and free delivery. If you have never SUP'd before, we highly suggest taking a lesson with us before renting. We have a wide selection of rental equipment from the wide and stable Imagine Surfer to our carbon fiber race and paddle surf boards. If you need to buy boards, paddles, or gear we can hook you up with one from our selection of brands or we can advise you on what the best equipment would be for what you want to do on the water. Paddlefit combines outdoor fitness with stand up paddle training and techniques. This is like Crossfit on water but with lots of fun. We have specialized race and distance boards which we train on. If you are interested in SUP racing, we can help you prepare for your next event or progress as a paddler. If you have or are staying in house on the water in Stone Harbor or Avalon then we can bring our equipment to you and teach you at your place. Learn where you'll be SUPing the most. Top quality boards delivered to your location. Everything you need- board, life vest, paddle, leash and free deilivery. We schedule all of our services online. Please click here to go to our bookings page and see our schedule and availability. You can call us at 609 741 8825 or email us at info@sjsup.com. Stand Up Paddleboarding, often abbreviated as 'SUP', is one of the fastest growing sports because it is as simple as it is fun. You'll be hooked the first time you stand up and see 'what sup' on the water. While many athletes take advantage of the great core workout that Stand Up Paddleboarding provides, the sport is simple enough for beginners to get up and 'SUP' after one lesson. With our wide selection of boards and paddles, we will be able to find the right board for you to take a lesson on, to rent, or to buy. We have wide and stable flatwater boards for back bay cruising, race style boards for distance and speed, and a wide ranging quiver of surf SUPs. Stand Up Paddleboarding offers one of the most unique experiences at the shore. Take our beginner Stand Up Paddleboarding lesson on the back bay and learn the fundamentals: balance, paddle technique and basic strokes, and water safety and awareness. Or head to the beach and take a Stand Up Paddleboarding surf lesson with us where we will put our flat water skills to the test and learn how to surf on a Stand Up Paddleboard. We also do Stand Up Paddleboard tours of the back bay, where you will experience a new perspective of the back bays. While the sport is good exercise already, you can get more out of your time on the water by taking a Paddlefit lesson with us and take your gym routine outside. Whether for fitness or for fun, South Jersey Stand Up Paddleboarding offers a way for everyone to Have Fun On Water. We launch from the public water access site on 114th street in Stone Harbor, New Jersey. While on the water, we will be well protected from both the wind and the tidal current, making this location ideal for both beginners and experienced paddlers to have fun on the water. Take a look below to check out some pictures of 114th Street and the adjacent back bays in Stone Harbor. Already have a place on the water? We can bring our gear to you and teach you from your own back yard, just check out our At Home Lessons.